Whenever I start talking about this, I get two questions right away. The first one is, "IS IT LEGAL?" And the answer to that is YES. When a patent-holder makes the decision to bypass patent protection in a given country, they are in effect giving that property to the public of that nation. This is not a loophole. It's the way the patent system is supposed to work. Remember the goal is to spread ideas, not hoard them. The second question I get is, "WHY ISN'T ANYONE DOING THIS?" That answer is not so simple. One reason is that there aren't a lot of patent attorneys running around in patent-free zones. So there's not a lot of help out there for entrepreneurs. Another answer, probably the more important one, is that patents are mind-bogglingly difficult to search. It's virtually impossible to see where patents are and where they aren't. And if you can't do that, a patent-free zone isn't much use. But luckily, I have a map! You see before I was obsessed with the developing world, I was obsessed with intellectual property waste. Actually, I still am. When it comes to obsessions, I'm a parallel processor. The ratio of patents granted to patents actually used is horrendous. Only 5-10% of of patents go on to provide commercial value. 90 - 95% just sit there on the shelf. It's wasted investment. Even worse, it's wasted ideas. One of the reasons for this poor rate of marketization is that corporations tend to draw the smallest circle possible around their universe of interest — basically, they know about their own patents and that's it. So there's a lot of tiny disconnected circles. It's like the internet without search capabilities. So my company devised what is essentially Google Maps for the patent system. We can create maps by category, by subcategory, by time period, by related technologies — by pretty much anything. It's an extremely useful tool — and it transforms the US patent system into just what it ought to be — a highly usable database. It's what flips the idea of a patent-free zone from a pie-in-the-sky notion to something immediate and actionable. Then there's a third question — isn't this going to piss companies off? And as a patent attorney who has the privilege of working with many of the world's leading patent-holders, I can tell you NO, IT WON'T. 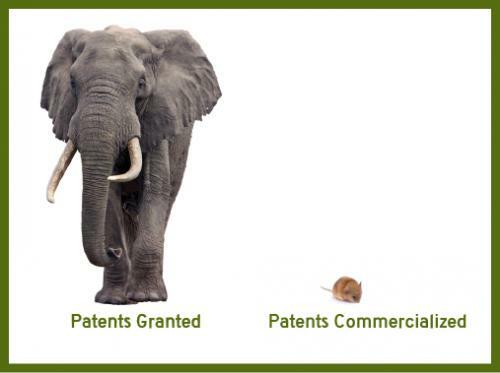 Entrepreneurs in Africa can't afford patent licensing. No one is getting anything for free that they would otherwise be paying for. If there were commercial opportunities in those nations, then companies would apply for patent protection. 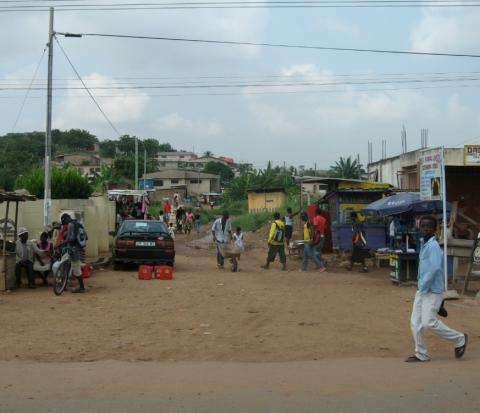 There's no substantial business for a multi-national corporation to lose in Ghana. But there is business to be gained — if the economy could develop. This is why the idea of Patent-Free Zones is as much of an asset for first world companies as it is for indigenous entrepreneurs. In essence, a patent-free zone is an enterprise opportunity zone. The reason IBM, Cisco, Microsoft, GE and other companies aren't paying for patent protection in Nigeria is that there's no market there. Would companies prefer there was a market there? I think so. Would companies want a foothold in that market? But as BP, Unilever, Nokia and thousands of other forward-leaning companies are learning, the markets in the developing world are different. You can't just take the same product that's a blockbuster in Europe and start selling it in Africa. Do companies want to solve this problem?